There are many people i know heading to Korea to see the beautiful and colourful autumn maple leaves. Well , decided to blog about a list of things you should buy if you are going to Korea. 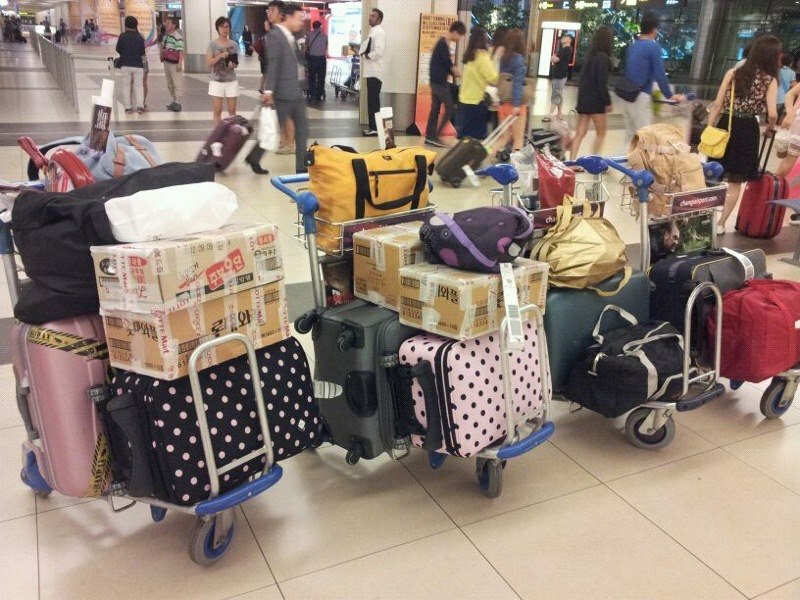 Below was a picture of me and my other 3 girlfriends’ luggages when we went to Korea for the first time back in 2012. We went with one and came back SG with additional luggages , boxes and more and more hand carry bags. So how did we went with only 1 but came back with erm… so many ? Well , we spent more than sgd800 per pax at Laneige in Myeondong and they gave us a free luggage each ( The ones with polka dogs , mine is the pink one in the picture ). That was for my 1.5 years of supply of facial care and it came with generous supply of samples which in fact tempted me to get more of their newly launch products. Only you can buy 3 items in Korea and get alot of samples. Hera was more generous when i bought my first set of facial care. They gave me like 4 sheets of the white program masks and REALLY ALOT of samples. Not that i am a cheapo for the samples but these samples are convenient for my travels and it actually tempted me to get the full bottle of product instead and now i am a big fan. My friend’s sister used to send me new samples that last me 1 month and i love the results and ended up buying the full bottles and stock up on a year’s supply. I don’t like how some counter ladies in SG were abit stingy with it when you ask for few more sachets and they look at you like as if you are some cheapo who want freebies. Maybe they have their reasons for doing so because there are really cheapos doing that but not all are so cheapo okay. There are genuine buyers like me. It doesn’t make sense you see , your products claimed that with continuous use for 14 days , you will achieve radiant skin. But how can you expect your customers to see the results by giving one pathetic sachet ? Tell me how can you convince your customers the product is good with just one sad sachet and expect people to spend money on the full bottle ? To be reasonable , you should give samples that last at least for 3 days to be able to convince consumers how good your product is. Ok back to the list of things you should buy in Korea ! 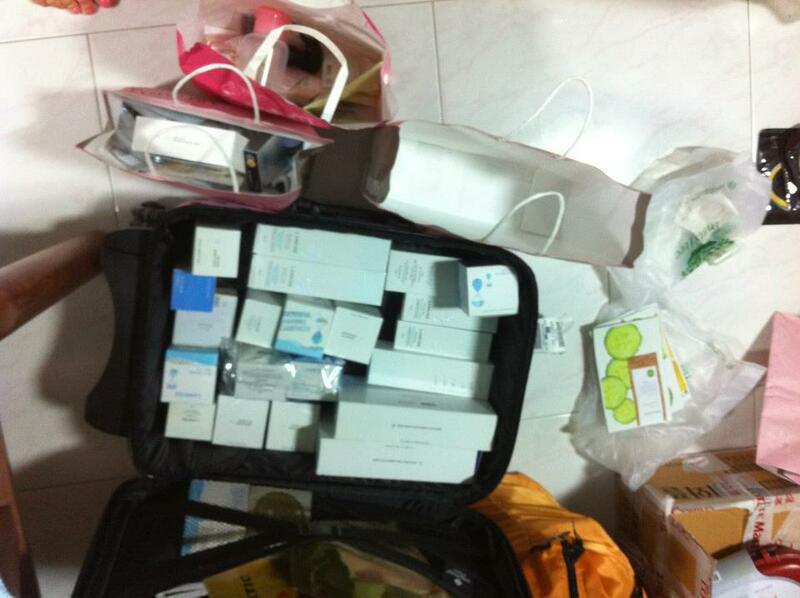 Nature Republic, The Face Shop, Etude House, Innisfree, Tony Moly, Holika Holika and Missha. Reason why you should buy the make up products is because they are cheap and good. Korean ladies are very good with “natural make up look” so most of their products are not very pigment heavy. The colours are light and refreshing. They like to play around with lip colours so you can see a range of colours for the lipsticks. Because they are cheap , you can buy many colours and have different looks. I usually shop off the city area because there are some outlets with 1+1 deal meaning buy 1 get 1 free ( usually for masks and lipsticks ) and some have up to 50% discount for make up products. I got my masks , make up and some accessories from the boutiques off city centre and i get to enjoy 30-50% discount or 1+1 deal. But this depends on your luck because sometimes they don’t have such promotions. Usually there are such deals at theend of each season . But the thing is that you don’t get to enjoy tax refund. But i think i saved more with those deals than the tax refund if im getting hell lot of them. Can’t decide to get a lipstick in Pink , Coral or Red ? Just get all 3. They will probably cost less than sgd20 for 3. If there is any 1+1 or discounts , you save more. Beauty is important in Korea and girls there do take extra time and care to maintain their looks and skin. 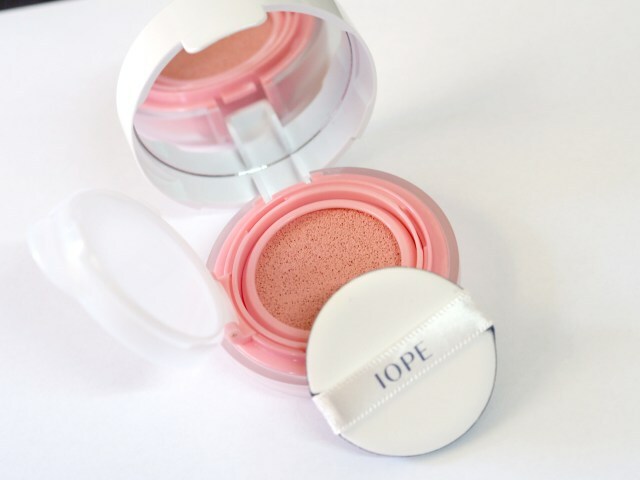 Brands such as IOPE , Laneige , Sulwhasoo and Hera are under Amore Pacfiic. They do have a house brand too. You can buy Laneige , Sulwhasoo and Hera at any Lotte Department store or Shinsaegae Department store in town. They are available at the airport as well. Iope is available at Emart , Lotte mart and Aritaum. If you a big fan of these brands , there are few reasons why you should buy in Korea ..
1) Cheaper than SG and there is tax refund. 2) Brands like IOPE and Hera are not available in SG. 4) These products works on my skin very well. Below were my buys from Laneige back in 2012 when i was still using their products before switching to HERA. I was given a free luggage and hell lot of samples for purchase of SGD 800 and above. It filled up that entire luggage. I bought home 1.5 years of supply of facial product. 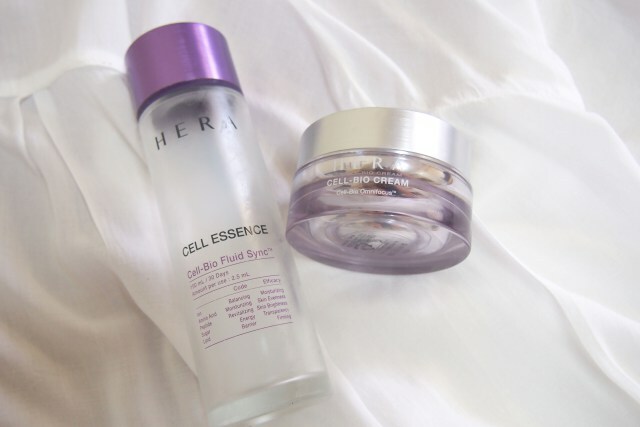 I have since switched to HERA and because it is not available in SG and i have to really stock up . You can find brands like IOPE , Laneige and Mamonde in Aritaum. I love Aritaum make up produts because they are cheap , nice colour and pretty good. See the crayon lip tints and crayon eye shadows ? They were going at 1+1 for KRW 6,900. It is cheap and can’t decide which colour to buy ? Just get all lah ! You can find whole range of IOPE products in Arituam. 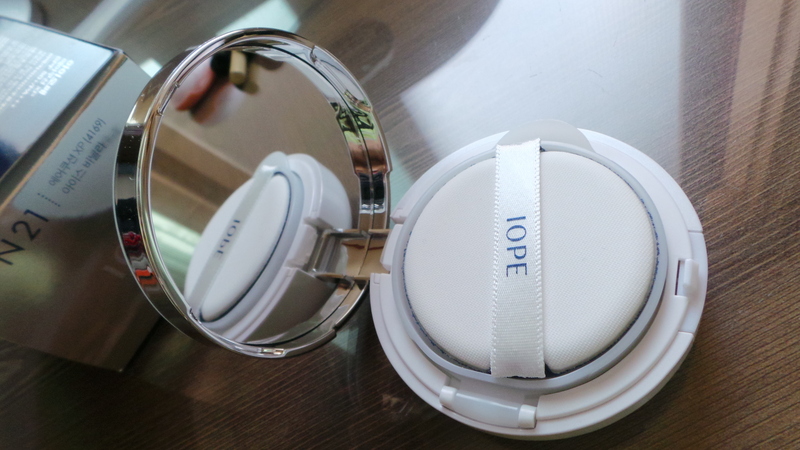 I have been to Korea 4 times but i have not seen any Iope boutique before. Even blushers come in the form of cushions. 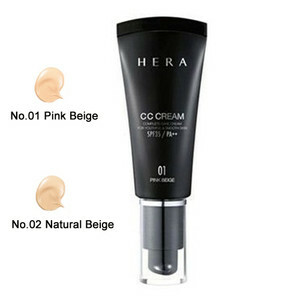 Korea is the mother of all BB and CC Creams. And now the BB Cushion and CC cushion for easy application ! 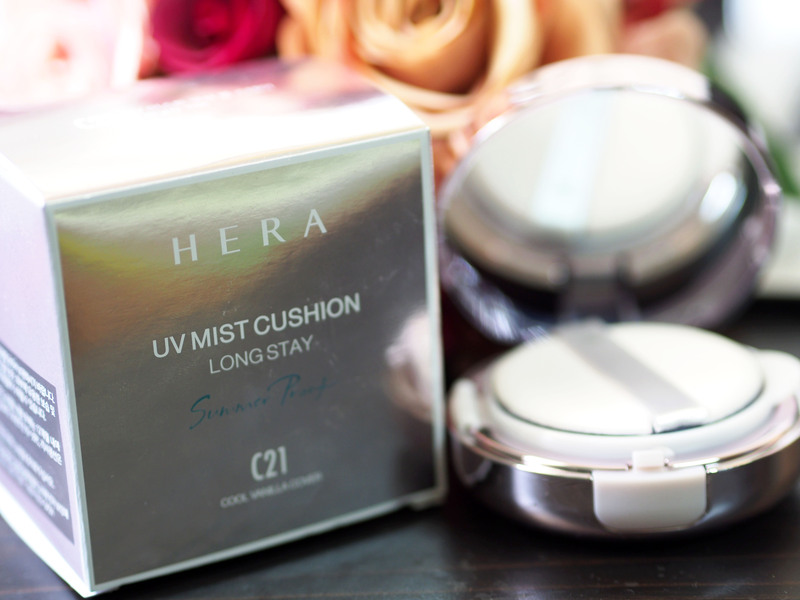 My favourite goes to Hera UV Mist Cushion and Hera CC cream. 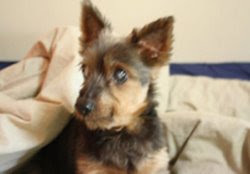 Iope is another popular choice among the locals. They come in various shades which suits Asian skin tones. It costs about KRW 40,000-KRW45,000 and it comes with a refill pack. Again not only being cheap is the reason but they have lots of selections for different skin types. It also work very well in hydrating the skin. I bought like 300 over packs to last me 1.5 years. Instead of keeping them at room temperature , i kept them in the fridge so that the sheets remains moist and preserve the essence on the sheets. My favourite brands are from Missha and Sulwhasoo. I bought 300 packets of Missha masks at 1+1 and each was KRW 1000-KRW3500 depending on the type of mask. The hydrogel ones are more than KRW3,000. 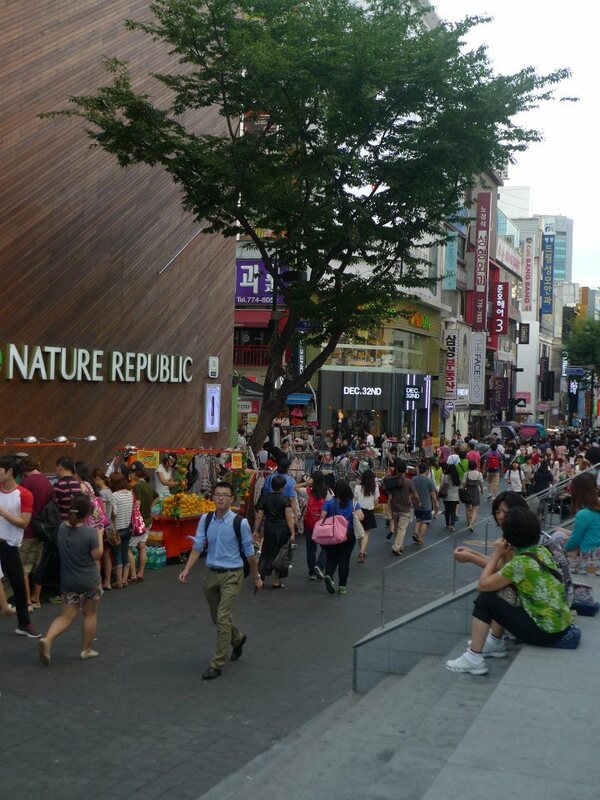 You can buy from the boutiques at Myengdong ( for tax refund ) or Supermarket such as Lotte mart and Emart. Usually the ones at Myeongdong does not have discount or 1+1 promotions. I realized it on one of my trips. I was helping friends to buy Missha masks and got some from the boutique at Myengdong and i swept up all the green tea stocks available at their boutique ( about few hundred pieces ) and i have to go to else where to get the remaining. So i went somewhere and i saw a Missha at subway underpass and saw that there was 1+1 promotion ( no tax refund ) . So you have to work on your maths to see which one is cheaper and you save more. You can buy Korean snacks from Emart or Lotte Mart which can be found at departmental store. 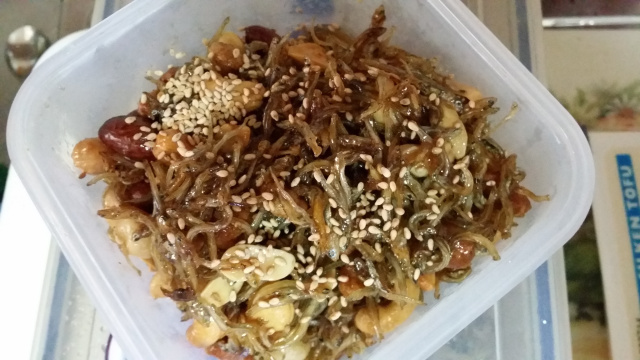 You can find your favourite and delicious and cheap Korean snacks there. I always buy a trolley full and bring it back to SG. They don’t give you plastic bags so bring your own HUGE bag or you can use the boxes found near the cashier to wrap up your shopping. However , if you prefer a bag , you can pay for a paper bag. I dont recommend that if you have TOO many things because it breaks quite easily. Seriously , you can never get them so tasty in SG. 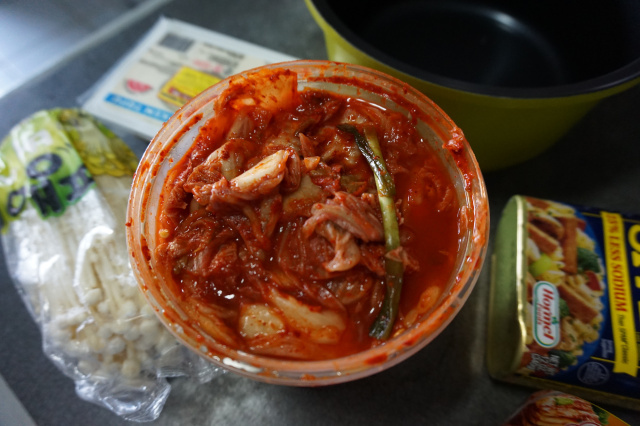 I never buy Kimchi in those aluminum packages and instead i bought those homemade ones because they are much tastier. You can buy them from Emart or Lotte Mart. Be sure to wrap them up properly and suggest to send it back to SG in a box or else the Kimchi juice might leak and stained your clothes and the smell may linger on your clothes for a while. Just to name afew , there are the popular places among tourists. I skip on Dongdaemun and Namdaemun because some are china made and very platinum mall Bangkok like pieces. And are very overpriced. The ahjumma there are not very friendly. I deal with a supplier from Namdaemun before and they are really rude. I only shop in 2 local boutiques at Myeong dong because they sell their own labels and design their own means there is quality control. And the apparels are priced tagged. Try to bargain when you are buying. Some shops don’t indicate any price tags and i usually avoid those unless i really like the item and find the price reasonable. I was quoted KRW 32,000 for a skirt and a friend was quoted KRW 18,000. The salesman must have thought i am a tourist and don’t understand Korean and when my Korean friend asked for the price again , she was quoted cheaper ( almost half the price ). The salesman must have thought we were not friends . But i understand what the price he quoted to other person in Korean. So for those shops that does not have any price tags on their apparels , do try to bargain. 9) Cute and little accessories such as stockings , socks and samsung mobile covers. I get all my winter, spring and autumn stockings from there because they are very cheap and good. You can get a winter stockings/leggings with fleece for KRW5,000. That is why i can still wear skirt with the stockings in such cold weather. They have tonnes of cute little stocks with ribbons and prints at KRW 1,000 each ! Some were going at KRW 800. Samsung mobile covers are cheaper there. I got one for my cousin from Korea for her Note 3 at like SGD 20 cheaper ? I got my stockings and leggings from Ah jummas at the road side stalls. Or you can get from shops that sells those cute little socks and hair accessories. Happy shopping in Korea and worry about overweight luggage ? One tip is to send all your shopping buys back via EMS Korea to SG. It takes 3 working days. Meaning if you send it out on Monday , you will receive it on Wednesday. I sent 500 pieces of Missha masks to my friend from Korea ( helped her to buy..you see im such a good friend haha , carrying 100 pieces each time x 4 trips is really not easy and super heavy ) and it costs about KRW 34,000. It is cheaper than paying for extra baggage weight. And i buy my Hera skin care products from the airport duty free. There is one counter which carries the full range. Hera bottles are made of glass and very heavy. Definitely going to add weight onto your luggage. So i will buy at the airport and hand carry up to the plane instead to save on overweight baggage fees. Well , have a good time and happy shopping ! This entry was posted in Aritaum, Hera, Iope, Korean beauty, Korean MakeUp, Korean Shopping, Laneige and tagged korea travel, Korean MakeUp. Thank you so much for the info! Have been dying to go Korea to sweep their products, but didn’t really know where to go, so your info is really helpful.